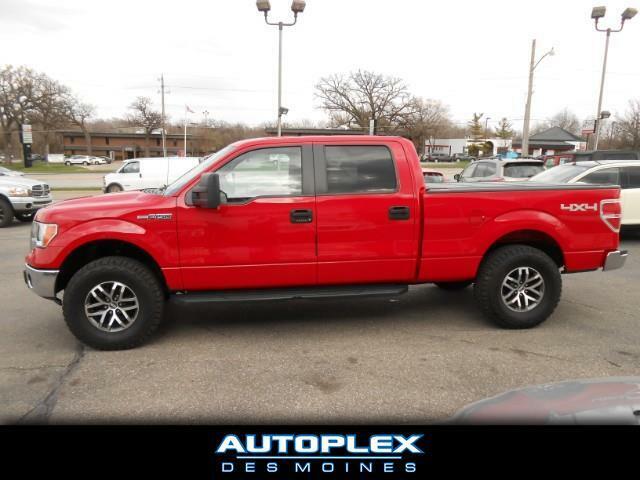 ***ONE OWNER*** We are pleased to offer this exceptionally clean 2014 F150 XLT Super Crew complete with the exceptionally reliable 5.0L V8 engine, a HARD TO FIND 6.5" bed, Bluetooth, Power Seat, Steering Wheel Mounted Controls, Power Mirrors, Adjustable Foot Pedals, Microsoft SYNC, AM/FM/CD/Sirius, Tonneau Cover, and MUCH more! Also includes a 2" leveling kit with NEW TIRES and NEW Factory Raptor wheels. We offer convenient and competitive Bank and Credit Union financing for most credit types to save you both time and money. Come experience the Autoplex Des Moines Difference Today!